Once upon at time in Arabia.........widow twankey ran her laundry business with her two sons, Aladdin and Wishee Washee. Aladdin had his sights set on marrying the beautiful Princess Tigerlily, but being poor, he could only dream! The evil Abanazer brought Aladdin to the ruby caves, promising him riches beyond his wildest dreams. However, all he wanted was to get his evil hands on the magic lamp to make him the most powerful man in the land. Follow Aladdin's adventures over two continents - to save his princess Tigerlily and retrieve the lamp from the evil magician, with the help of Flame, the Genie of the lamp. 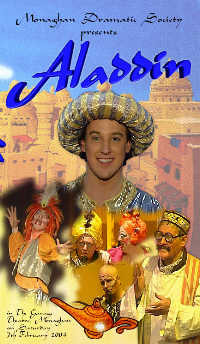 Aladdin and his friends - including Dulally. So Shy and the Emperor - will bring you on a mystical journey you will never forget! !